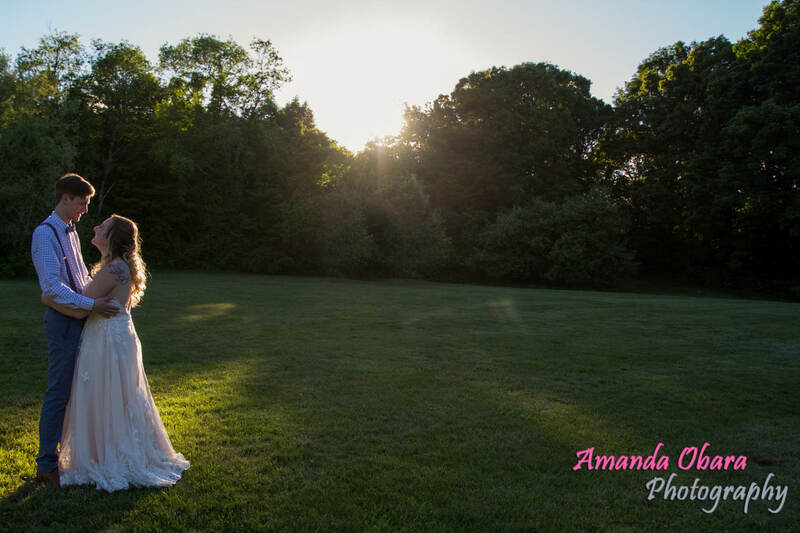 It was my pleasure to capture Bianca & Tom’s wedding at Thayer Homestead in Medway, MA. As we started the day I got to meet Bianca and Tom’s beautiful baby boy. He was napping at the time but when he woke up, he was so cheerful and happy. 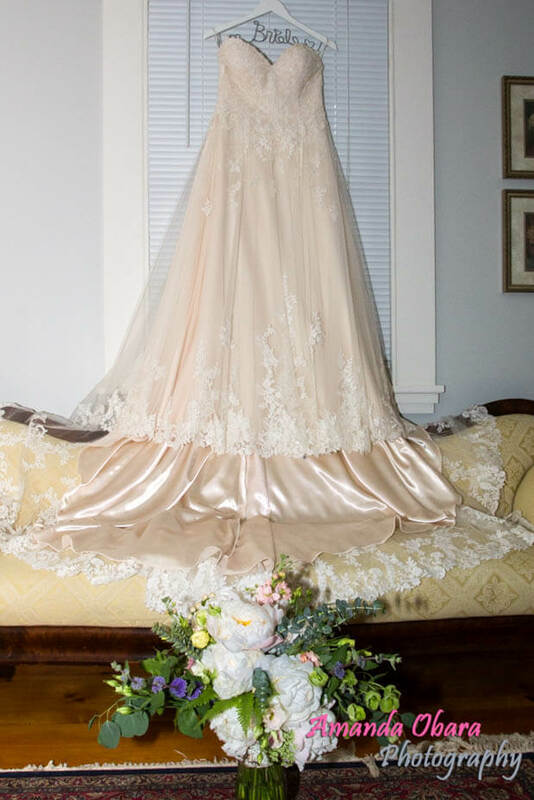 Bianca’s dress was draped with lace which gave the ivory silk all the elegance a dress should have. 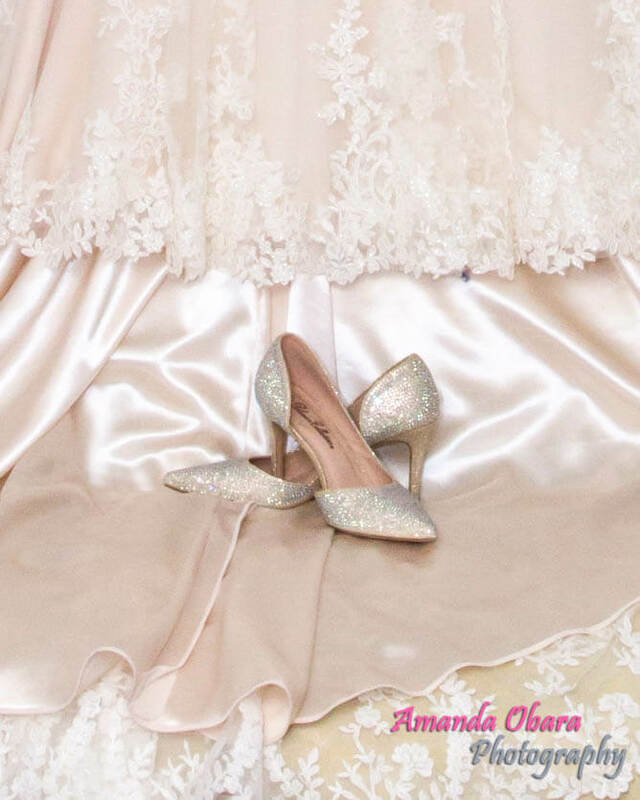 I enjoyed capturing all the unique details, including GLITTER SHOES!!! 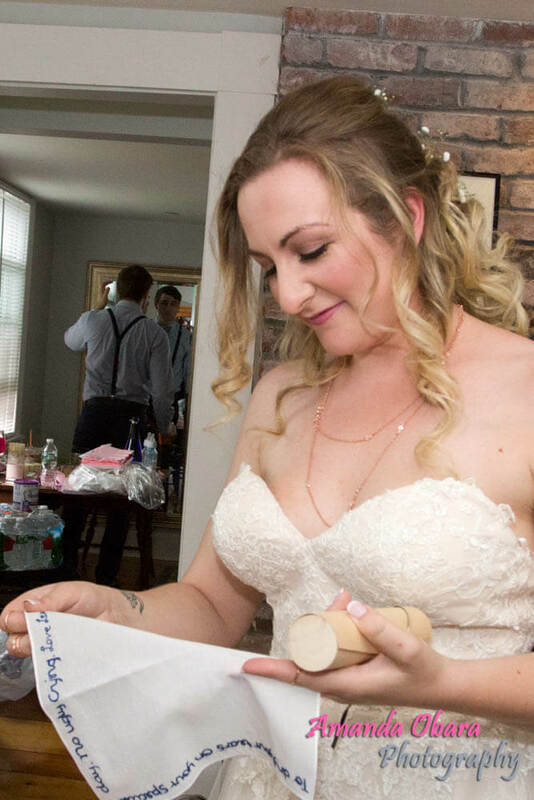 When Bianca was dressed and awaiting her walk down the isle, she was presented with a gift. Her soon to be husband, had written a love letter on a handkerchief that she carried with her, down the isle. A true sweet token of love for sure. The ceremony was officiated by a very close friend of Bianca’s and was decorated by the maid of honor. The beautiful leaves hung down in a canopy like way that gave the whole scene so much romance. The clouds broke just in time for us to get together and have their formal session. 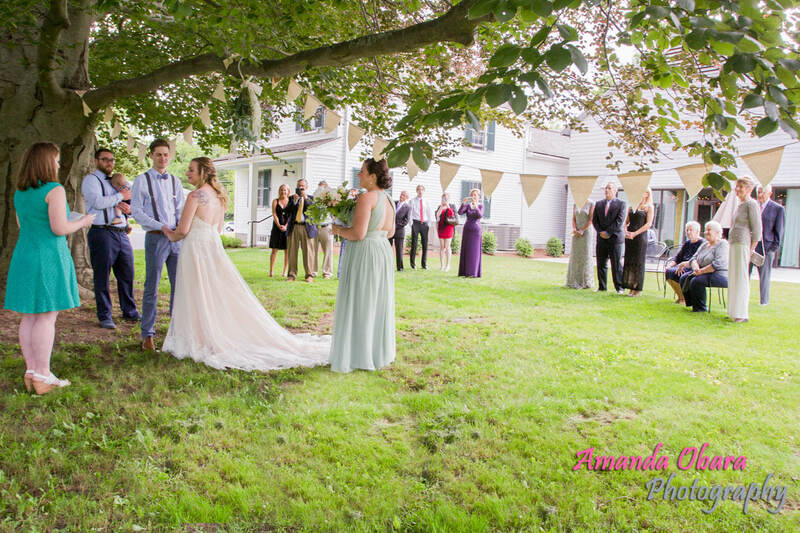 Of course at Thayer Homestead there is no bad place to take an amazing photo. Not to mention their fireplace, sets up for some creative ideas: like a Smores Bar.The inspiration of the beautiful surroundings hit me and we started down the walking path. When we stopped at the water, I could not help but fan out Bianca’s train. Inside was decorated with a rustic elegant feel. We started their first dance, a special moment shared between them and their son. Half way into dinner, after the toasts we could not pass up the beautiful sunset. We all escaped to the field to capture the beams creeping through the tree tops. Of course as the night went on and the party really got started, we enjoyed some out of the box fun photos as well. Needless to say we had a blast capturing memories that will last a lifetime.